Published: Jan. 28, 2013 at 12:33 p.m. Updated: Jan. 28, 2013 at 03:42 p.m. 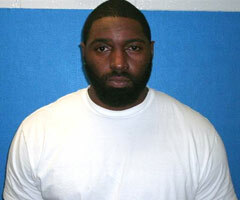 The news surrounding Dallas Cowboys defensive tackle Jay Ratliff's driving while intoxicated arrest keeps getting worse. Grapevine police released a report Monday that indicated Ratliff's blood alcohol content was 0.16, according to The Associated Press. That is twice the legal limit. Cowboys owner Jerry Jones and Ratliff reportedly spoke in the days following the arrest. It's unclear if the Cowboys will release Ratliff considering this incident came so soon after Ratliff's backup, Josh Brent, was charged with intoxication manslaughter after being in an accident that killed Cowboys outside linebacker Jerry Brown. "Having recently experienced the most tragic of circumstances regarding this issue, we, as an organization, understand the ultimate consequences of driving while impaired," the statement reads. "We know that one incident is too many. "The critical goal is to effect the decision making process in the hours before the wrong decision is made. "Our player assistance programs in the areas of preventing incidents such as these are at the highest level in professional sports, but we are always looking to do better and for ways to improve. We will continue to draw upon the best expertise and resources available, both internally and from outside the organization, to work toward being the best in the areas of education, prevention, and effecting the right decisions. "We have been in communication with Jay Ratliff regarding this incident, and we will monitor the legal process and work within the NFL guidelines for player behavior moving forward."